Make no mistake about it, shale play is hot in the Mountain State. Lawyers from Weirton to Bluefield are jumping on board—many with little to no experience in the area—all trying to get a piece of the proverbial pie. 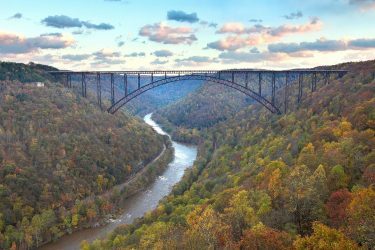 If your company actively does business in West Virginia (WV) mineral extraction, it is not in your best interest to work with lawyers just learning the ropes. Instead, find your experienced mineral rights attorney right here, at Hendrickson & Long, PLLC. The attorneys at Hendrickson & Long have deep experience in WV mineral rights law. We’ve long served as counsel to oil, gas, and coal companies statewide, so we know the issues that face you every day. Like you, we understand the importance of front-end work, ensuring that your agreements are made with land and mineral owners who have rights to the minerals at issue. We’ve built our reputation on rock-solid title work, heirship determinations, and title opinions. We have decades of experience interpreting deeds, wills, and other critical documents under West Virginia law, and we’ll put our experience to work for you. Our lawyers know that mineral rights agreements are built on much more than simply royalty payments and terms. We have extensive experience negotiating agreements that address many other issues, as well, such as alleged groundwater contamination and claimed noise or annoyance and surface damage. Our mineral rights attorneys will work with your company to negotiate and draft an airtight agreement that gets you favorable results. We also handle collateral matters that sometimes arise between the parties to a WV mineral rights agreement, such as premises liability and trespass claims. Errors by an inexperienced WV mineral rights attorney can cost you dearly. Don’t place your valuable rights at risk by entrusting them to just any mineral rights lawyer. Contact Hendrickson & Long, PLLC today by completing our Contact form or calling us at 304-346-5500. We’re experienced in all aspects of WV mineral rights law statewide, and we pride ourselves on being litigation lawyers you can trust.